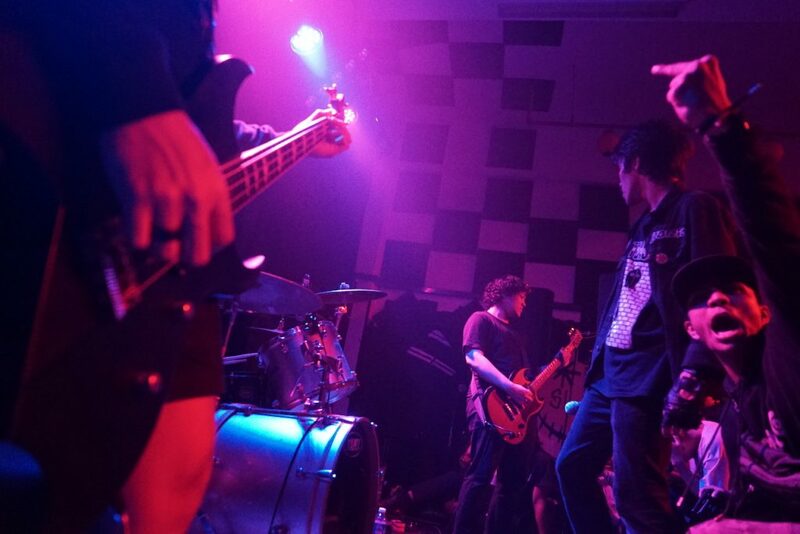 Has Social Media Ruined Punk Music in Singapore? I’m taken aback to realise that Gerald is dead serious. Unfortunately, this hits home. Guilty as charged; I’ve had my fair share of belting out variations of ‘life is unfair’ and ‘no one understands me’ on more than one social media platform, subjecting my poor, unsuspecting friends to grossly intimate details of my personal life. However, surely being punk amounts to more than frivolous teenage angst? “What is punk culture then, exactly? And why is it dead?” I ask Gerald, puzzled by his prior statement. Seeing as we are standing right outside a punk gig, the irony isn’t lost on me. Granted, it isn’t teeming with people, but it is still a lively affair. 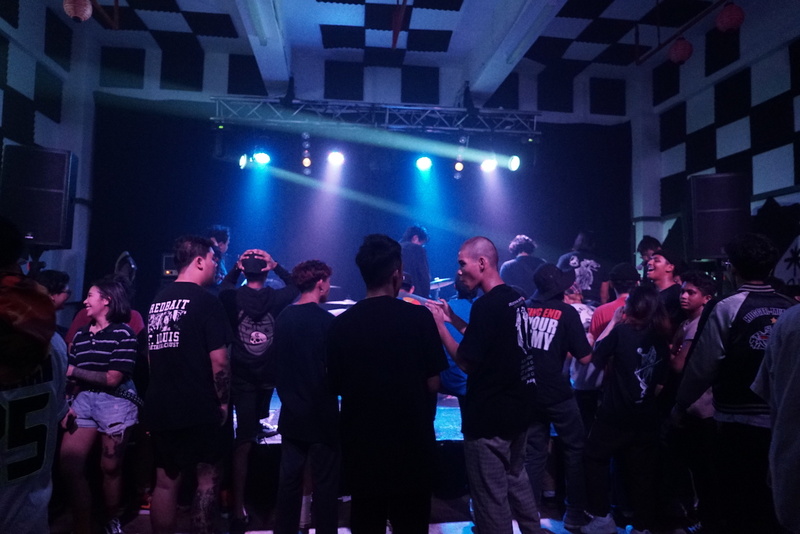 Despite being a modest, no-frills event, everyone is deeply immersed, grooving and moshing to the music. Observing this energetic spectacle, I’m struck by the thought of all the glitzy, over-hyped concerts I’ve forked out hundreds of dollars for in the past, many of which had statues for crowds. 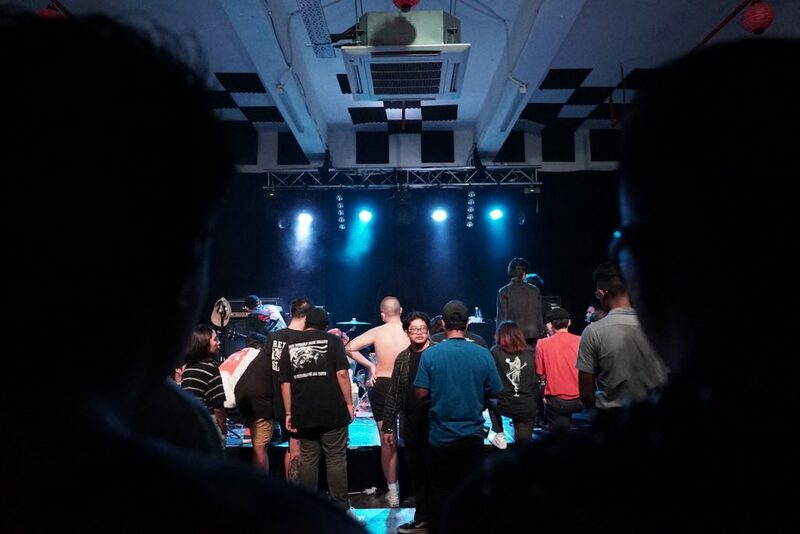 The punk scene in Singapore is certainly small and elusive, but to an outsider such as myself, it hardly seems dead (or dying). As I stand speaking to Gerald and his band along the smoke-filled corridor of a drab industrial complex, he takes a long drag from his cigarette and answers, “The core of punk is rebellion. Since then, the term “rebellion” has been reduced by so-called “keyboard warriors” to juvenile tantrums on social media. In the past and in its true form, punk rebellion was something very different. While anti-establishment frustrations have always existed, the absence of social media platforms in the past rendered necessary a physical space for people to gather and communicate. 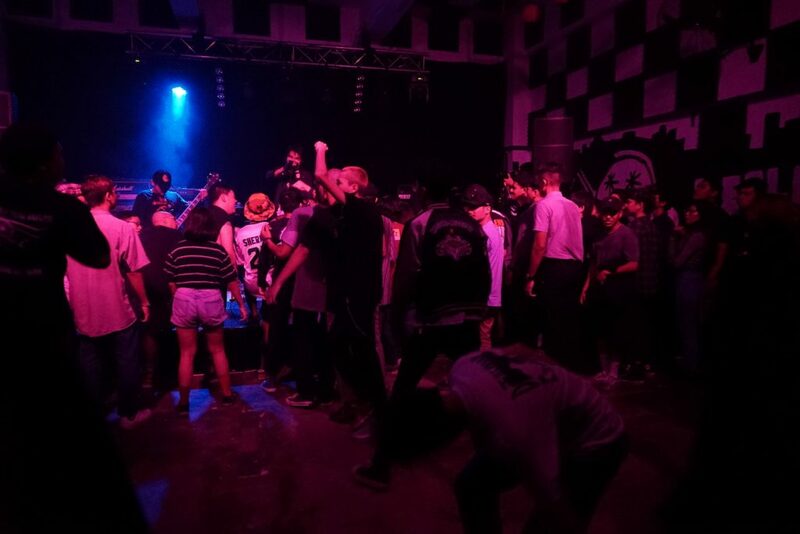 Local punk gigs fulfilled this need, and inevitably facilitated the building of a community that shared sentiments, grievances, and a love for music. I don’t mean to discount the the ability of social media to both fuel and facilitate rebellion. For instance, social media accelerated the 2011 Egyptian Revolution, where a Facebook group managed to mobilise hundreds of thousands of people to take the streets in protest against corruption in their country. If you ask me, that was a pretty gargantuan feat. Yet Singapore doesn’t face these turbulent political conditions. For the most part, our use of social media remains limited to posting pictures of truffle fries and fluffy dogs that belong to friends and strangers. And there is absolutely nothing wrong such frivolity. Though that said, these addictive and distracting tools have made it much harder for the local punk community to grow organically. Ben is a veteran in the local punk scene who grew up during its heyday in the 80s and 90s. Today, he plays in a local punk band, and has a deep admiration of Kurt Cobain for daring to challenge the standards of masculinity in the Western punk scene. “Back then, the basement of Peninsula Plaza was a popular hangout spot, right where all the guitar shops were,” he shares. He tells me that before the dawn of smartphone technology, information mostly circulated via word of mouth. Accordingly, everyone in the community would end up knowing everyone else; you were either someone’s friend or the friend of a friend. Despite the slower dissemination of information back then, crowds were significantly bigger than you normally see today. “I remember how eccentrically dressed people at these gigs and music festivals were; they walked around with spiked denim jackets and spiked hair, and coal-black eyeliner. Yet, I found myself being irresistibly drawn towards this community of misfits and colourful personalities,” Ben says. He has a point. 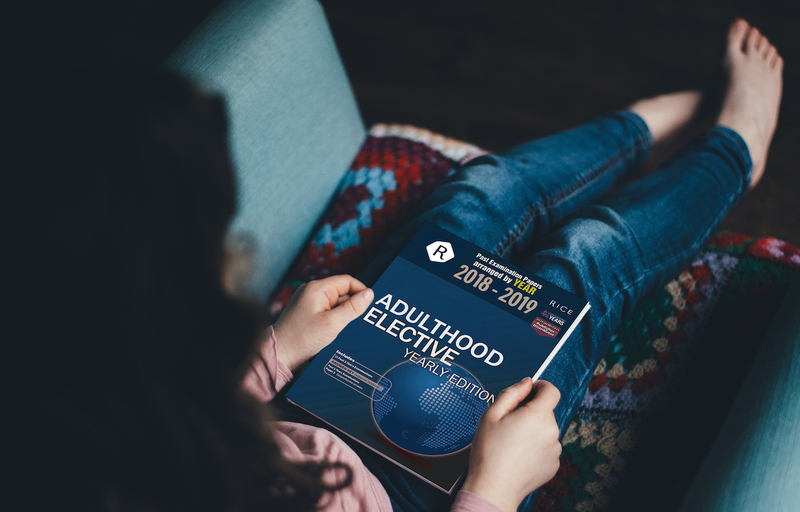 Our preferences are increasingly shaped by algorithms, and we can barely scroll through a full page on Facebook before getting a notification that a distant ex-classmate is ‘attending’ an ‘edgy’, 80s-themed pseudo-clubbing event at Hopheads. As to whether she ends up going, we need only wait to find out on Instagram. 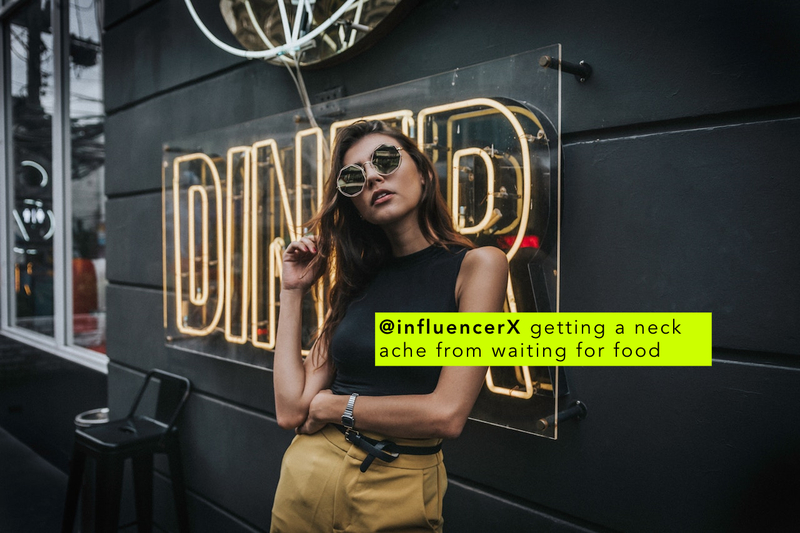 We’ve been conditioned to be easily captivated by the fads and novelties that bombard our timelines and ‘Explore’ pages. Naturally, we tend to be drawn to those that are visually appealing. Most of us would rather attend an event with floral-themed posters than one depicting a sea of human corpses. 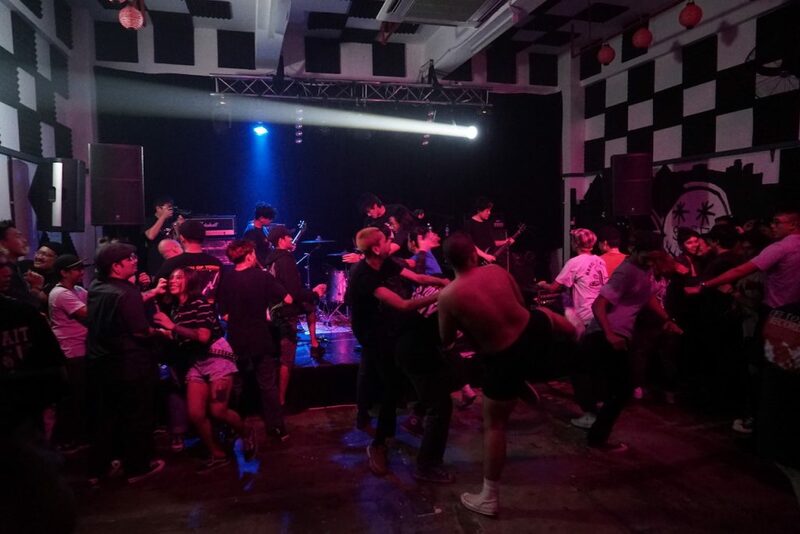 Accordingly, the internet has thrown the local punk scene into the deep end of the unknown, with them competing with entertainment agencies with the budget to market the hell out of their events. The punk community, on the other hand, is often working with a very limited budget. Inevitably, the local punk scene manages to capture the attention of only a very small population of youths. 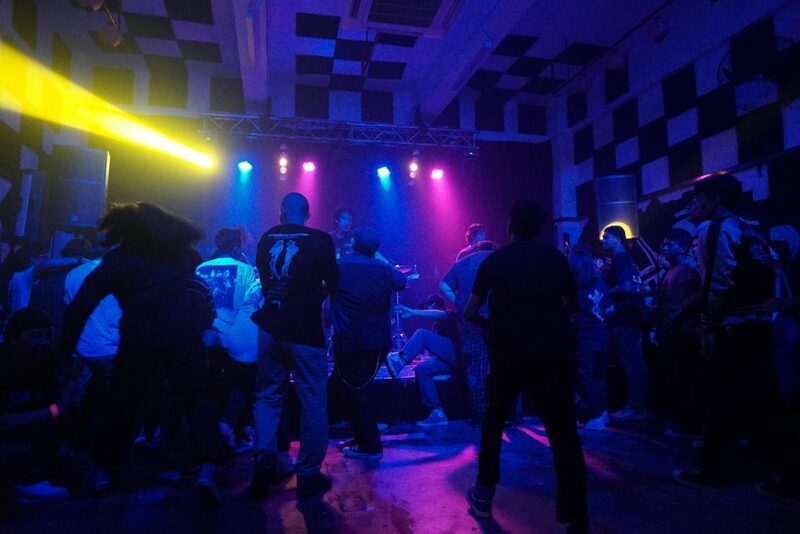 As for people who are interested in being a part of the local punk community, insider contacts are no longer a prerequisite to access the scene, and mutual friends become increasingly uncommon. Consequently, circles within the community have become more loosely related to one another, yet increasingly exclusive. Naturally, crowds at gigs have grown smaller over time. I’m not here to terrorise you with a bad depiction of a Singapore punk scene episode in Black Mirror, nor am I going to to recycle tired narratives of why technology is unhealthy for interpersonal relationship building. I simply want to illustrate this point: as a society, Singaporeans have acquired an attention deficit disorder from our heavy use of social media. 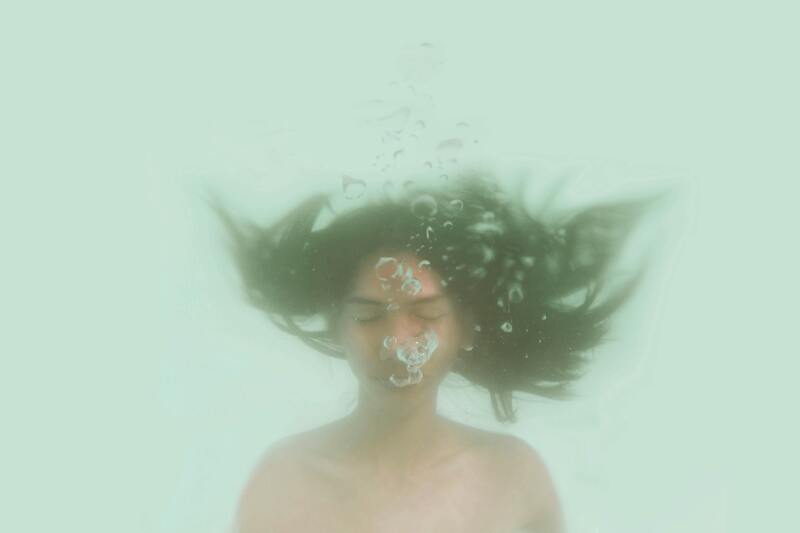 We hop from one trending topic to the next, without ever giving ourselves the time and headspace to figure out where our own judgments land, or what works for our individual personalities. And this takes a toll on the punk scene, which thrives on frustrations created by society’s fault lines. People have no need for a community that empathises when they’re always distracted, and don’t really know what to be angry at in the first place. Punk as a subculture has been forced to evolve and broaden; from one more pointedly political to something more personal and dynamic. In comparison to its original purpose and definition, punk is dying. It’s no longer a scene for naysayers and renegades. 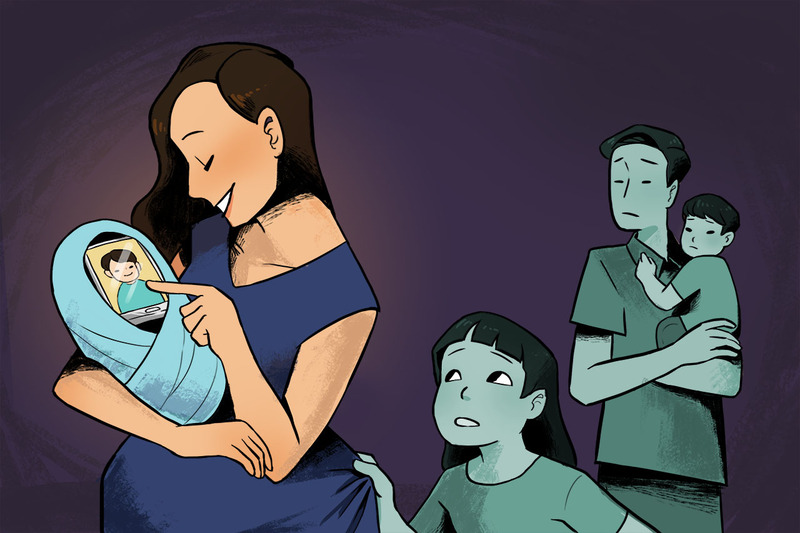 Eventually, everyone grows up and conforms in some way in order to make a living in Singapore. On top of that, social media has changed the way we express dissent. Not only is it more convenient and effective, it’s simply become more natural. “Then what does punk mean to you now?” I eventually ask these guys. Gerald’s band responds with a variety of answers: it’s therapy; it’s healing; it’s comfort. As I stand at the back of the crowd, watching the mosh-pit escalate, I notice how happy everyone is. From afar, it can look violent; some are full on frog-leaping onto each other, while others throw substantial (albeit sloppy) roundhouse kicks. Someone even loses their shoe in the crowd, but every single person has a cheeky, blissful grin plastered across their faces. Punk, as I understand it, isn’t dead. It’s just changed. Rebellion will always exist, so long as society remains imperfect. For as long as this dissonance remains, with some of us feeling like we don’t quite fit into society’s cookie-cutter expectations, punk culture will always have a place. 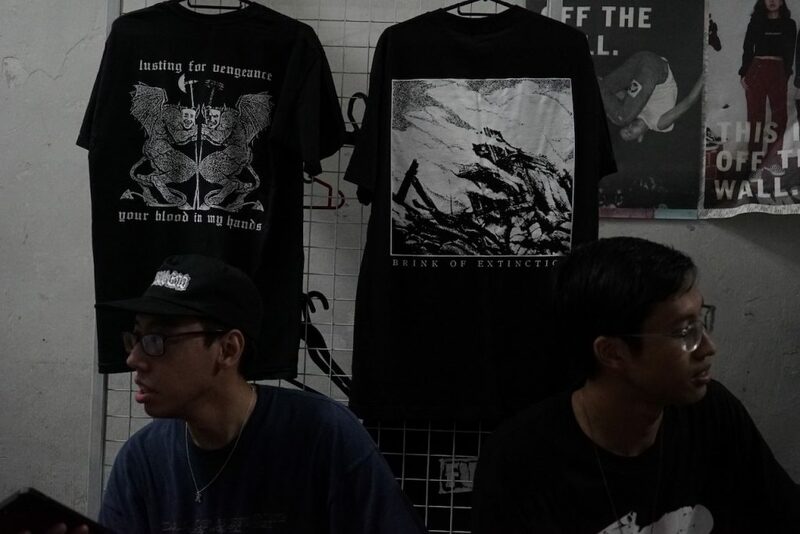 Are you one of Singapore’s true punks? Do you want to be heard? Write to us at community@ricemedia.co and tell us what you stand for.